Robert Mueller and his team are leading the effort to save American democracy at a time when democracy is in deep peril. He will go down in the history books as one of the greatest Americans ever, despite never holding high elected office. Mark my words. 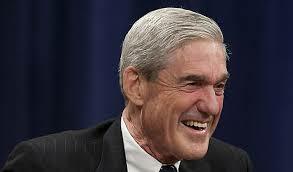 Godspeed, Robert Mueller. The real patriots are behind you. Posted on February 17, 2018, in Politics/Diplomacy and tagged Robert Mueller, Russiagate. Bookmark the permalink. Leave a comment.